Call centers and voice services allow firms to be even more accessible to their clients, but poor call center support services can be the breaking point for client and company relationships. The quality of a call center relies on a number of factors, from the technology utilized to the level of care they show to their clients, we understand what it takes to provide top-notch service. conducts in depth research on firms around the world, collecting information on their marketing presence, social media efforts, and what their clients have to say about them. We can be found on the Clutch directory of top call center companies around the world. We strive to be valuable partners to our clients, and we appreciate the chance to receive in depth feedback that lets us know how we are doing. 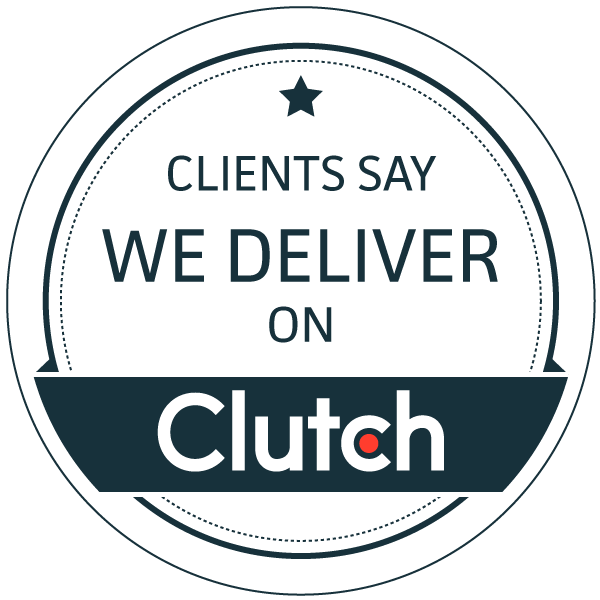 Not only are featured and reviewed on Clutch, we were also highlighted on their sister-site, The Manifest. The Manifest is a business resource, offering industry insights, how-to guides, and directories of top service providers. We are included on their directory of the top call center support services, citing our affordability and a notable project we completed. We have also included a portfolio of some of our best work on Visual Objects, a forum for digital service providers to showcase their work to prospective clients. Thank you to everyone who has worked with us, supported us, and helped us become the company we are today. We are proud of everything we have accomplished, but we know we could not have done it without you. It is important to understand the product needs of your customer. It is equally important to learn about their spending behaviors and expectations from the customer services. There exists no business today which can get a referral and customers’ trust without providing them a good experience at the hands of the customer service representative. An era has begun where the customer care center is as important as the good/service itself, sometimes even more. Every business now requires new stratagem from its customer service center to pave the path to success. The key to better customer support is to identify the customer type and customer need as early as possible. Therefore, a customer service representative must undergo rigorous training to assess and satisfy customer needs and requirements without fatiguing the customer. 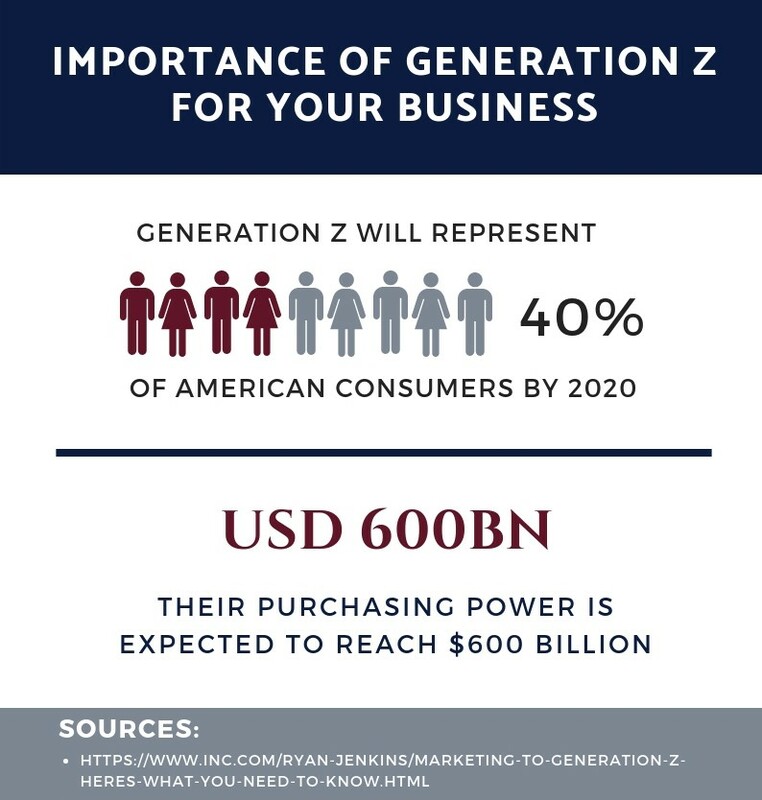 Generation Z will represent 40 percent of American consumers by 2020, while their purchasing power is predicted to reach USD600 billion. Therefore, it is of utmost importance that your company’s support staff is trained and skilled to handle this influential set. Generation Z does not prefer hierarchy and power structures. They are concerned with results and need solutions from you quickly when they cannot find them for themselves. Also, Generation Z is aware of marketing. They have shifted the focus from consumer to producer for brand loyalty. It is the consumer who has to be treated as gold to make repeated sales and give positive reviews on social media. To serve Generation Z, the customer service representative has to be proficient in delivering the relevant information without taking much time. Additionally, the customer service representative should follow-up till the customer is fully satisfied and his/her requirement has been met. Most people from the iGeneration look for self-help options and FAQs. They contact a customer service representative as a last resort, when they have reached a dead end. They expect personalized customer care and immediate solutions. They do not care about the company’s operations and procedures; they are only concerned with the solutions the customer service center can provide them. You must serve them correctly and timely, otherwise they will move on to someone else! This generation has not known the world before technology took over. They are always with their mobile phones and look towards tech-savvy options. Customer care center leaders or managers need to focus and deliver through different means of communication. Thus, it has become crucial to adopt omnichannel support to deliver uninterrupted services at your customer care center. 4. Bad experiences will last forever! This rule is the most important to remember. Studies have shown that more than 40% consumers do not forget bad experiences even after two or more years. And negative experiences are more likely to be shared on social media platforms. This implies a very long-lasting negative impact on a brand’s image. From the receptionist service to the customer care center, every employee involved in customer interactions should be trained to build and uphold a positive image of the company. Generation Z expects every customer service representative to treat them as their priority and offer quick results. This includes engaging them through channels they feel comfortable with, in languages they prefer and with the information that serves their purposes. They are well-versed in navigating and filtering through options. They are intelligent and make product comparisons often before finalizing purchase(s). They are also well-informed so they choose a more convenient yet economically safe product/service. Once they have selected your brand, they expect the customer service to be extraordinary and well-integrated to give a positive review and to keep them coming back. To stay ahead of the curve and earn the loyalty of this crucial segment of your target market, invest in improving your customer service center right away! A good receptionist service constitutes performing a number of administrative support tasks. Administrative support services are the backbone of a successful business; hence, they require a combination of skills for efficient delivery, namely technical, interpersonal, and communication skills. A receptionist typically handles all telecommunication, receives and guides office visitors, manages itineraries and prepares for meeting and training schedules. Your enthusiasm and warm tone can help you bring in meaningful connections for your office. It is important that you avoid a negative tone and phrases. Avoid phrases that are cold and demanding. Instead, use friendlier, warmer phrases to deliver the same message. …can’t be done Gladly! / My pleasure! No problem! May I put you on hold? Who is this? May I ask who is calling? What? Will you please repeat that? Usage of correct tone and phrases goes a long way in establishing a positive image of your company and products/services in the minds of your potential connections. Your welcoming language will show that you are concerned and demonstrate your sincerity and ability to help. Receptionist service training constitutes discerning between clients, potential clients, and mere inquiries. A trained receptionist shields the people in-charge from interruptions to help them focus on their tasks. This is when a receptionist performs the role of a gatekeeper. Like for b2b sales, receptionists take the calls and set appointments. They are rarely involved in final decision-making but they are the ones who decide who gets through to make a pitch and who does not. Here, a receptionist gets a chance to act as a gatekeeper as well as a brand ambassador. While screening for unwanted calls, keep your questions simple and your tone friendly. Invest your time to identify a potential, new business opportunity and deal accordingly. This showcases the professionalism of your company with which it handles clients and customers. As you have trained yourself to assess caller/visitor agenda, make sure you refer them to the appropriate department or person without delay. This saves time for all the parties. It also shows that your company is resourceful and organized along with creating an image of specialized and cooperative staff. Setting up clear expectations and definite timeframes create a professional environment for carrying out business activities. A receptionist can make callers comfortable by helping them get things done. For quality customer experiences, the receptionist service should include a quick recap of the information gathered and a follow-up time for the caller. This makes things easier and clearer for the one who has approached your company, resulting in higher chances of positive reviews. In addition to showing your dedication by reiterating the information received from potential clients and providing them a follow-up schedule, a little marketing could also help create a better brand image. You can take permission from upper management and then share relevant authorized material with your clients through any channel they may prefer such as emails, fax, post, text messages, etc. This can provide supplementary information to the clients about your company and its goods and services. Additionally, it can show them how things are carried out in your organization and what range of solutions are offered to clients. This might also lead to further opportunities with the client and a recommendation for potential collaborations. Ask you walk through the hubbub of a call center, you will find agents engaged in a variety of activities, working hard in an upbeat atmosphere. There will be agents making and receiving calls, a customer service representative leaning back to consult a colleague on a unique case, and a small group huddled around the coffeemaker discussing hot leads they’ll be chasing this week. Working in the same environment, with the same KPIs and the same shifts that are diametrically different from typical 9 to 5 office hours, call center agents develop a unique culture—the Planet Call Center. Late night shifts in the dead of winter, seeing the same agents day in and day out, having similar job descriptions, and relying on each other’s knowledge and experience builds camaraderiethat usually translates into lasting friendships. Sharing amusing anecdotes about customer interactions during lunch breaks and comparing notes on how to deal with certain cases builds a culture unique to a call center. This is as opposed to any other office environment where every person specializes in his or her area of expertise, with a faint idea of what the others do. Call centers have industry-specific terminologies that are widely acceptable and used extensively in everyday interactions. Usage of ubiquitous call center terms like AHOD creates a language of their own, solidifying the feeling of a bubble surrounding the call center. This call center jargon becomes so innate to agents, after using it in a range of circumstances with different customers, that it spills over into their everyday lives. Even when meeting outside, discussions of handling times, newest campaigns, and FCR rates create a coterie of agents quite distinctive from other office colleagues. With an upbeat atmosphere, call center agents work hard for rewards, benefits and bonuses. Depending on the direction of call center traffic, their motivation may be different. A call center operator providing outbound call center services may be primarily driven by competition for greater sales while an agent handling the brand’s inbound call center solution would be focused on solving problems. 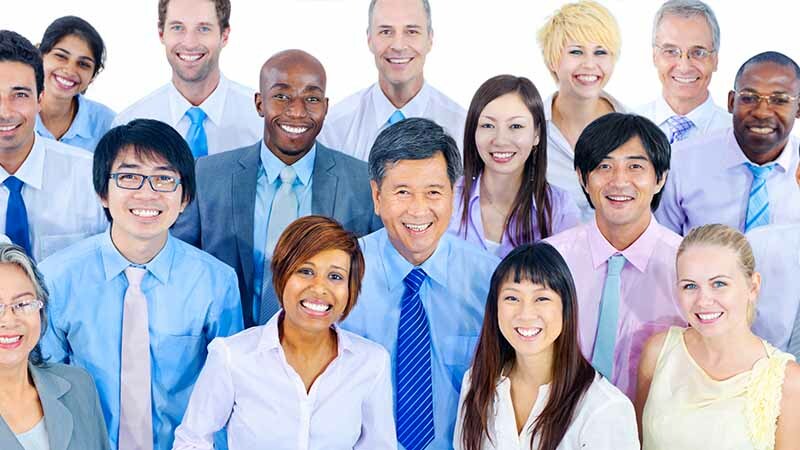 Not only is the call center workforce typically very diverse—with people of all genders, ages, educational and financial backgrounds and religions—each customer service representative deals with a range of customers over his or her career. This cultural diversity becomes so familiar and each call center operator has such widened horizons that the outside world seems slightly alien, with a relatively homogenous populace and informal interactions. Talking in a professional manner throughout the shift creates the call center bubble. The call center is even more of an isolated planet in areas where customer interactions take place in a second language that is not that predominantly spoken outside the walls of the center. Once agents walk out of the center, readjustment into the outside life takes a minute but then due to their training, they are more equipped to deal with the daily pressures they encounter in life. The comprehensive interpersonal communication training given to a customer service representative changes his or her daily interactions with everyone for the better, engendering empathy and a helpful attitude. At IdeasUnlimited, wehave both physical call centers in the Philippines—where agents come in to the center to work—and remote teams handling call center support for other projects. It does not take long for the planet call center effect to come into play in both situations, where agents work hard and support each other, the jargon becomes generic usage, diversity becomes acceptable, and a positive culture is promulgated. We are proud of promoting a positive, hardworking culture where excellent performance is rewarded, communication skills honed, and the planet call center values upheld, broadening the personal and professional horizons of our agents. Do You Need an Inbound Call Center Solution for Your Business? 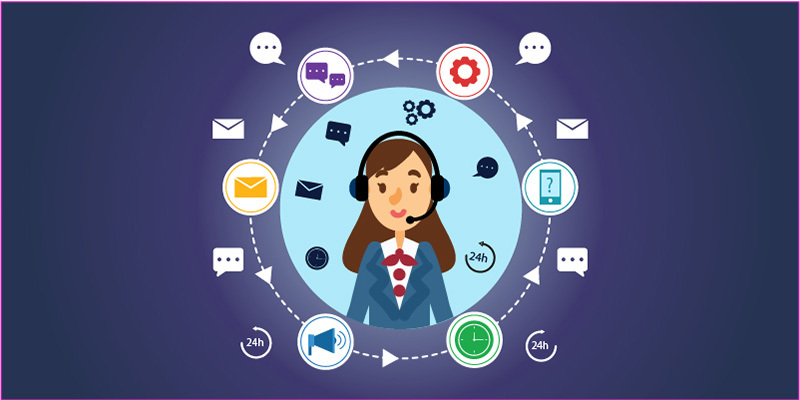 With customer service at the forefront of business competitive differentiation in today’s global marketplace, and 81% of marketers estimated to be competing on the basis of customer experience by 2020, you need to evaluate your customer care center and see whether you need an inbound call center solution. 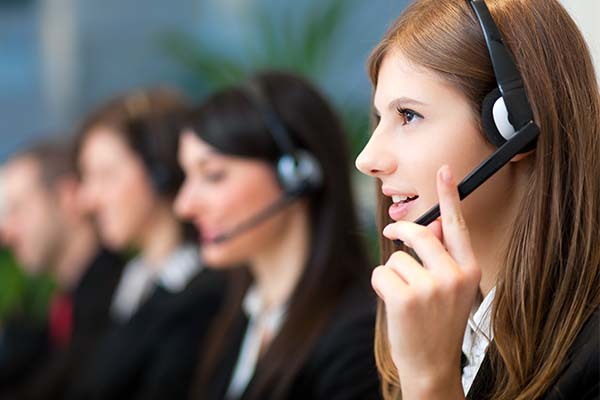 What is an Inbound Call Center Solution? An inbound call is initiated by a customer, employee, vendor, or other stakeholder who wants information or assistance with some aspect of your product or service. Your business is not initiating the call. An inbound call center solution constitutes the management of all inbound channels of contact that any stakeholder can use to reach out to your business. All inbound calls, messages, or chats are routed to an available agent with the required skillset and these can constitute queries, technical support requests, order processing requests, etc. Firms providing call center support offer both inbound and outbound call center services. However, if more than 50% of the calls are inbound, the call center is classified as an inbound call center solution. A reliable customer and vendor support system enhances brand value. It not only significantly improves the conversion rate, it assists in cross-selling and upselling, and the after-sales support ensures customers stay with your brand for longer. Customer service is more often that not the deciding factor in ensuring a positive customer experience and retaining current customers—customer experience leaders outperform laggards by 25%. Customers purchase more after a good customer service experience and stop buying or even avoid a business after a bad customer support interaction. More important still, customers share their good and bad experiences, so your customer support has a direct impact on your brand reputation and long-term profitability. An effective inbound call center solution improves your customer service, enhancing the bottom line by creating more positive customer support experiences. 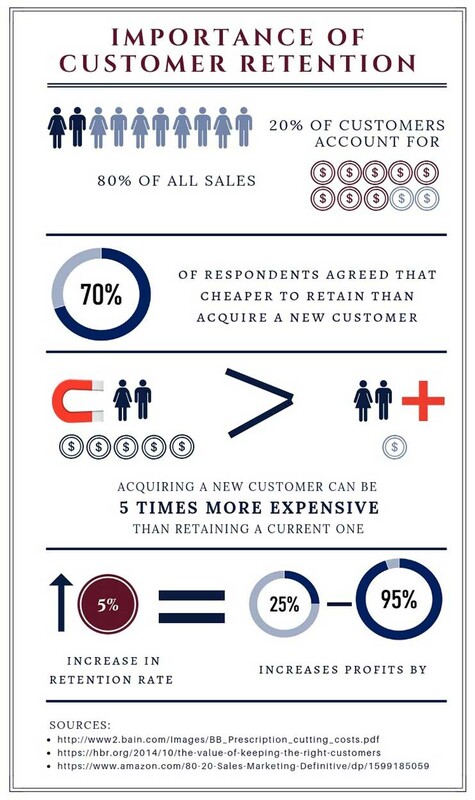 70% of businesses believe it is cheaper to retain a current customer than to acquire new ones and, depending on the competitiveness of your industry, acquiring a new customer can be 5 times more expensive than retaining a current one. Couple that with a 60-70% probability of selling to an existing customer, your primary focus should be on your current customer base to improve the bottom line. A mere 5% increase in your retention rate has the potential to increase your profits by 25–95%, the magnitude of gains depending on your business model. Loyal customers buy more from the company and become brand evangelists, spreading positive buzz. Not only are they willing to pay premium prices for assured quality and reliability, the operating costs of serving them is lower, so you must ensure they stay with your brand and do not switch to a competitor. The best way to retain and grow your customer base is investing in an effective inbound call center solution. Your most important accounts need special care since 20% of customers typically account for more than 80% of sales. Providing these accounts special care will have an exponential positive impact on your profitability. You can have an inbound call center solution with dedicated agents for these accounts to provide them enhanced customer support. An inbound call center solution helps build a better understanding of the common issues faced by customers, their problem points as well as main complaints. This would allow you to tailor your value proposition accordingly. For example, if you get to know through customer feedback that your product gets soggy in humid climates, you can focus on better vacuum-sealing protection. 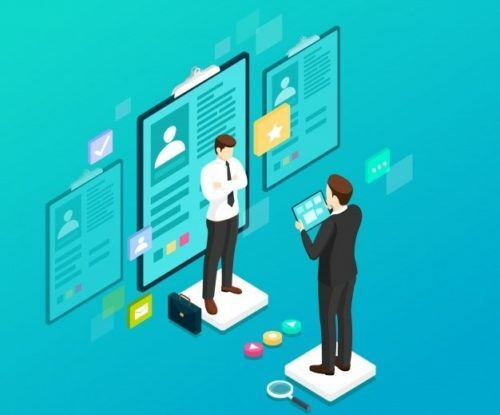 You can also add enhanced features that customers have shown an interest in and proactively determine how customer interactions with the product are changing. Use this simple checklist curated by us to determine whether your business needs an inbound call center solution. Any of these would require specialized call center support to increase sales and productivity. Receptionist Service—Your business gets a large volume of calls for scheduling and confirming appointments, asking to be redirected to various departments, and miscellaneous other queries for which you need an inbound customer service center. Inquiries—Potential customers get in touch for queries about your product, process, or service before making the purchase decision. This may be directly related to the composition and function of the product or service or its recyclability, sustainable sourcing, the location of your outlets etc. These must be handled professionally for maximum conversion to sales. Order Processing—Customers require assistance in processing orders, confirming sizes, choosing between alternative modes of shipment, tracking orders etc. Your business needs to process orders given live across multiple channels by customers and enter them into the database, allowing you to deal with rush periods and ensure timely delivery. Bookings and Reservations—You handle reservations and bookings for conferences, hotels, trips and holidays etc. and need an efficient system for ensuring nothing slips through the cracks. After Sales Support—Current customers need troubleshooting assistance, technical support, assistance with upgrades, usage instructions, repair and maintenance, and call center support is needed to handle these communications. SAAS providers like Intuit and those selling goods that need technical support get a lot of incoming traffic for this reason. Marketing Support—Customers contacting your company must be told of your range of products and services and combinations of products that would enhance their experience, to increase their share of wallet. Billing Support—You get incoming queries regarding modes of payment, payroll processing, and tax liabilities that a trained customer service representative must address. Global Customer Base—Customers from all over the globe use your product or service and require 24 hour call center support to cover differing time zones. After-Hours Support—You must be available for your customers after hours too since you are an emergency service provider or ecommerce business with customers in various time zones. Multilingual Support—Your customers, vendors, and/or employees speak multiple languages and multilingual call center services would make communication efficient and enhance brand loyalty. Omnichannel Customer Experience Management—With the proliferation of points of contact, customers and other stakeholders reach out via various mediums: calls, text, live chat, social media messages, fax etc. and you need an omnichannel management system for all of it. Vendor Support—Multiple vendors contact your business to confirm orders you have given, shipments received, invoices and payments. An inbound call center solution would manage your vendor communication and relationships. Large Volume of Job Applications—You receive a large volume of incoming calls, emails, and social media messages from potential workers for job applications and then subsequent application status inquiries. These need to be handled by HR through dedicated lines of communication. Multiple Departments—Calls and other incoming inquiries may be relevant to any of several departments, business units, branches, or outlets and need to be directed to the relevant employees. Very Time-Sensitive: You will need 24 hour call center support if the inbound communication is very time sensitive—if the query is not resolved as fast as possible, the customer can switch to a competitor’s brand or the business will lose money. For instance, having 24/7/365 support for a payroll software is necessary because if the glitch is not resolved immediately, the checks will not go out in time. Small Queries: Live chat support is required for small queries to help redirect customers on the website, resolve small login issues and other problems that have instantaneous fixes. Requests for Quotes and Meetings: In case of queries that require research and strategizing, email support is a better alternative. For instance, if a firm needs a quote from you for a strategic partnership, it can wait till you put together a proposal and the best form of initial communication is email support. The next step is figuring out what features you need in your inbound call center solution and which ones can wait for now and you can opt for once your business has expanded sufficiently. 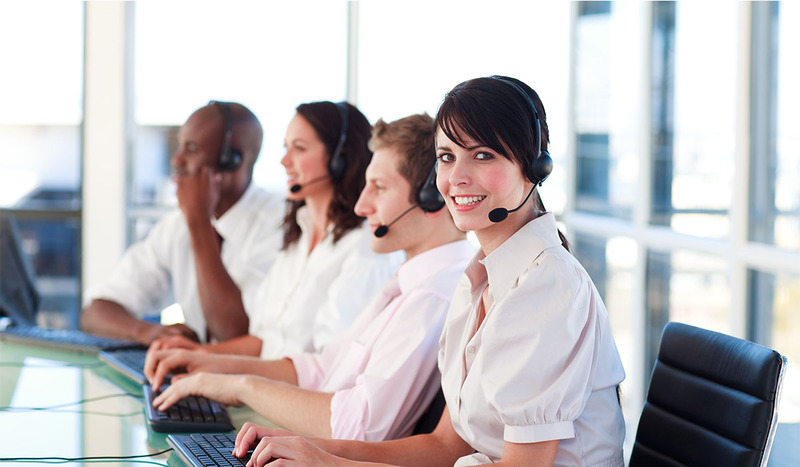 Each customer service representative must be well-trained in customer care, with communication skills par excellence. The agent must be well-versed in the product or service, order processing, and common issues customers face. He or she must be able to handle any type of incoming query. Should be able to easily deal with the pressure and volume of incoming calls. The customer service representative must be able to handle all points of contact and all mediums used by stakeholders. You must analyze your inbound call center solution needs and decide whether you need each of the following features in your business VoIP platform. Determine the current main contact channels like phones, text messaging, social media, live chat etc. as well as those you want to target. Do you want to automate the first step and direct calls to the relevant departments and agents as efficiently as possible? Do you receive calls from international numbers? Do you want to make it simpler for your international callers to get in touch with you? Do you need several extensions to create multiple points of contact for various departments and branches? Do you want a Private Branch Exchange that is stored and managed over the internet rather than end-user hardware? Do you need one or several voicemail boxes and do you want to receive transcriptions of voicemails in your email for better management? Figure out whether you need to set up a route for incoming calls and emails so that no incoming communication slips through the cracks. Do you need hold and forwarding capabilities? Analyze whether custom greetings and on-hold messages add value. Is there a need for recording and monitoring calls, with options for the supervisor to override calls and/or assist the agent? Would you like to announce an approximate wait time to your callers, especially at times of long call queues to create greater trust and transparency? Would your team better handle callers and live chat customers if they get some information on the customer before they pick up the call or respond to the chat? Will insights into call patterns, locations, extensions, and agents help you in strategizing and improving productivity? Do you need basic or advanced analytics? Once you have determined that you need an inbound call center solution and the features you need, you must ensure that it is a seamless extension of your brand image. This requires customer service expertise. But do you need an in-house customer care center, with the associated HR admin expenses, overhead costs, benefits, and paid leaves? A more efficacious option is partnering with a call center support provider since you would be assured of reliable customer support that builds brand value. Each customer service representative will be experienced, highly skilled, and well-trained at not only handling incoming communication but also cross-selling and upselling products and services. Most call center support providers cover 24/7/365, ensuring your business is never out of reach of your stakeholders, especially your customers. This is also the more scalable option that will allow you to expand operations easily without doubling your overhead costs. It is ideal for businesses that face seasonal fluctuations in sales volume. Take the time to determine whether you need an inbound call center solution, which features you need, and how to quickly and cost-effectively get one for your business. Our advice is, contact a specialist call center support provider for a custom inbound call center solution that best suits your business’ needs. 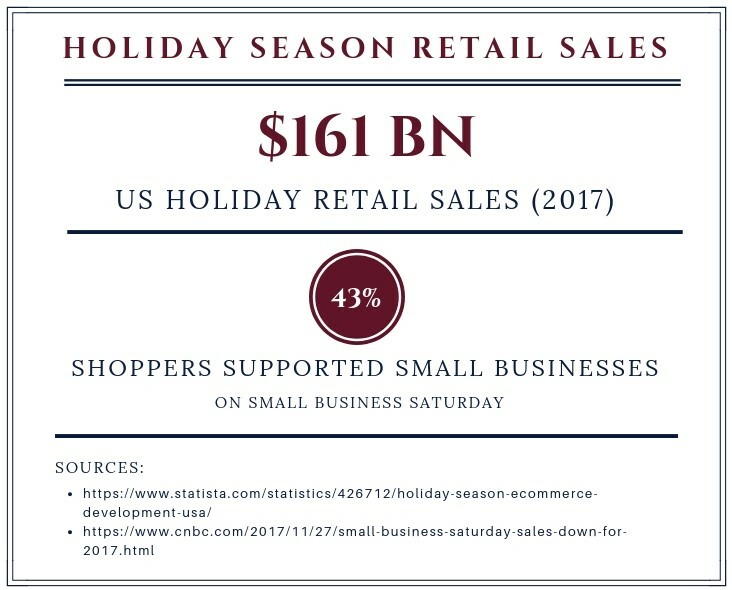 “Online retail is booming and is the next big thing!” Rest assured, this is not an overly-enthusiastic rhetorical claim by some zealous internet purist. Economists and retail analysts agree that online retail has shown steady progress over the last few years and is here to stay. According to Business Insider, worldwide ecommerce sales increased by 15.5% this year from 2017. In stark contrast, traditional brick-and-mortar sales only increased by a paltry 3.1%. In the US alone, ecommerce sales accounted for 10% of all retail sales—up from 8.2% a year ago. 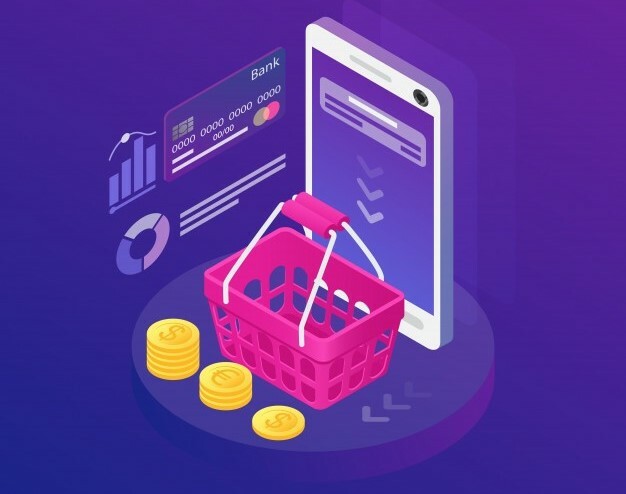 Not only that, online shopping is estimated to be a $526 billion industry in the US, with more than 80% of internet users expected to make an online purchase in 2019. 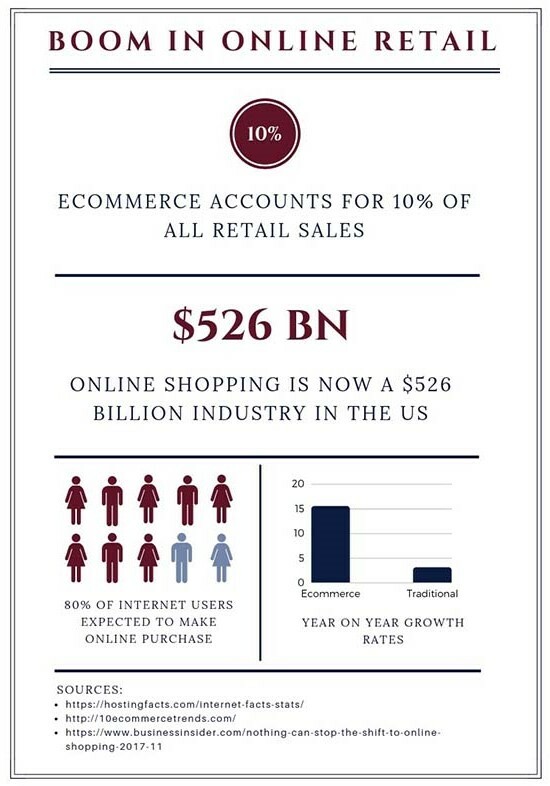 Why the Shift to Online Retail? So why this aggressive shift towards online retail? The most obvious answer is the convenience it provides to its users. Online shopping is hassle-free, usually offers free delivery, and saves so much time! 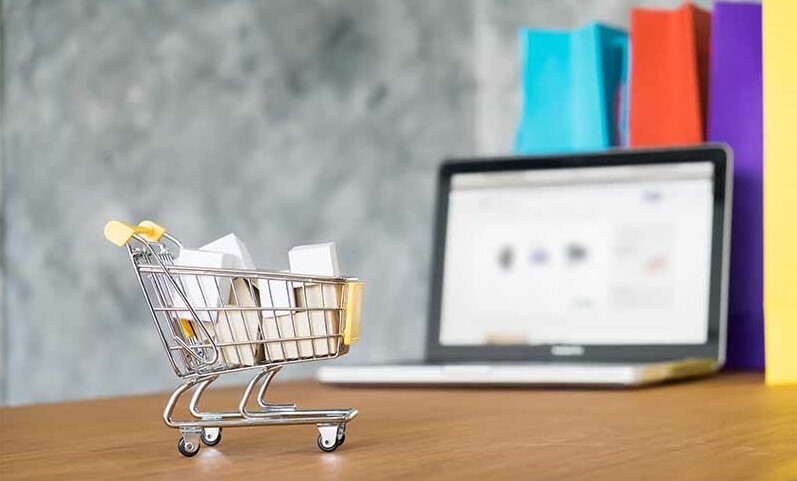 For retailers, it eliminates the pressure to continuously expand physically and open costly brick-and-mortar outlets; an online ecommerce portal ensures an additional revenue stream, not to mention the automatic promotion of the brand. Online retail, despite all its pros, is not for the complacent or lazy business owner/manager. It requires constant innovation, which includes providing impeccable and super-responsive human and technical support. The human part of ensuring a seamless online retail experience includes offering attentive customer care center support and omnichannel customer experience management. The biggest pitfall is not responding to customer queries and/or comments quickly and efficiently—rub a customer the wrong way and brace yourself for some irreparable (and fast-spiraling) brand bashing on Facebook or Twitter! On the other hand, handle a customer with the due care and diligence, and bask in the generous lauding and viral exponential appraisals of your brand! The customer is truly the king (and queen) in the online retail world! Now come to the second part of innovation—the technical aspect. Technology changes fast. For an online business to run smoothly, it needs to be supported by a solid and scalable online inventory management system and strong backend support that tolerates no downtime. 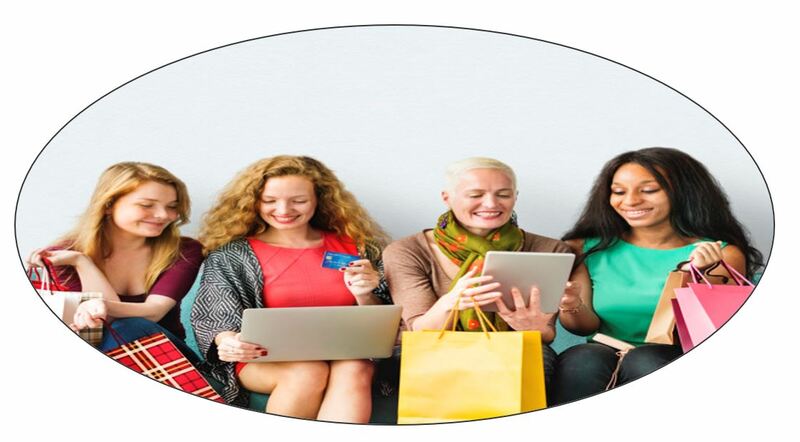 Nothing puts off an eager shopper who has liberally filled up his/her shopping cart and excitedly clicked check-out more than encountering an annoyingly slow response time, and worse, inefficient or insecure online payment services. 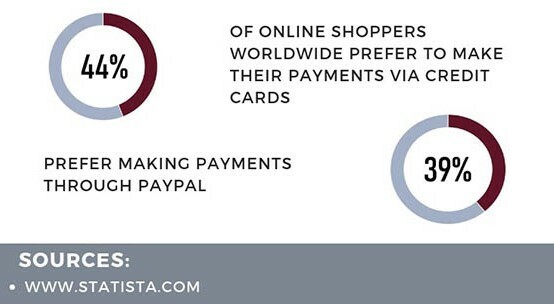 According to Statista, 42% of online shoppers worldwide prefer to make their payments via credit cards, while 39% prefer Paypal; imagine the volume of business you would lose if an insecure payment system is in place! Your potential customer will be replaced by a sulky user ready to vent out their frustration on social media. Your listing and inventory management must also be par excellence to ensure all the information is up-to-date and you have no surplus or shortages. Another important aspect is the content on your website, whether it fully describes all aspects of your service or product and resolves all queries of the average customer. Poor quality content and brochure websites do not garner high conversion rates. Did you know that you only have 0 to 8 seconds to get the visitor’s attention through the headline and the landing page, and even a one second delay can result in a 7% reduced conversion rate? Moreover, detailed product content is considered extremely important by 88% of online shoppers. Not only should the website be aesthetically pleasing and fast, it should be intuitive and interactive, with grammatically correct content that highlights your unique value proposition. So how to juggle the tricky trinity of online retail, which is maintain the quality of your product/service, ensure a flawless customer care service, and provide solid operational support and backend support systems? The solution is delegate! A prudent business always focuses on its core product and delegates the ancillary and supporting (but equally important) workflows and tasks to the experts! For online retail, the optimal approach is to get onboard a reputed and well-established support services provider that provides all these services at lower cost than an in-house setup. Doing so ensures a unified and seamless customer experience, translating into higher brand loyalty and return on investment. provide omnichannel support: email, social media, text, phone, fax etc. give technical support in case glitches appear on the online platform. a secure online payment system. provide order processing and tracking services. PatPat, an online apparel company that aims to make affordable quality apparel for moms and kids, seems to have nailed the online shopping experience just right. They focus on providing reasonable, trendy, and quality wear. But what truly makes them stand out in the jungle of online apparel sites is their attentive customer care. Did they deviate from their core competency of providing apparel to focus on managing the omnichannel customer experience? Of course not, they simply recruited a customer care center expert. Initially, they only needed two customer care agents but the number grew exponentially as their business flourished, and they now have 30-plus agents ensuring an empathetic customer care service. The increase in this number shows how important a well-equipped customer care center is! Their 24 hour call center manages their brand image by providing customer service, omnichannel support, and ecommerce support services. PatPat is flourishing because the work is done in unison—PatPat focuses on and provides the core product while IdeasUnlimited helps add value to PatPat’s value proposition. Indeed, a win-win situation! In a nutshell, retailers that have not figured out how to build a powerful presence online, have not invested in doing so, and are not planning to do so in the future will be left behind. Online retail is certainly not a fad—it is here to stay. The way to get ahead of the curve is to focus on your core competencies and partner with a specialist support services provider for support systems—let your product shine on a scalable and efficient ecommerce platform! What is a Good and Cheap Call Center? There are many firms offering call center support services, promising native agents, trained overseas call center support agents, incredibly low rates, and/or guaranteeing results. How can you separate the truth from the empty marketing gimmicks? A good call center is one that has a rigorous recruitment procedure—vetting the best candidates—and then a robust training program to ensure the agents are fully conversant with the brand they are representing and skilled at handling customer queries and concerns. Having a three-pronged management system—with administration, project management, and monitoring—assures quality inbound and outbound call center services. A cheap call center focuses on paying the agents better to maintain job satisfaction, which translates to a higher work rate and productivity. It keeps overhead costs at a minimum by removing layers of non-value adding administration and expenditure items. Most call centers and support service providers charge their clients for their luxurious VIP culture, quarterly trips to Hawaii, overstaffed management, and eye-catching exteriors; look for a call center support provider that does not have these unnecessary expenses. A good and cheap call center will not charge you for setting up, business VOIP, IT Fees, Management Fees, and Contract Change/Cancellation. It will also charge you less per hour since it does not have to cover unnecessary overhead expenses. Contact us at IdeasUnlimited for cost-effective, high-quality call center support to meet all your inbound and outbound communication needs. A medical virtual assistant could be valuable for doctors, dentists, therapists, and a wide variety of other health professionals. A clinic or hospital only runs smoothly when its administrative tasks are taken care of by the staff. Such tasks range from medical coding to organizing shifts and coordinating between nurses and doctors. All of these can be handled by a medical virtual assistant. A medical call center operator, on the other hand, can manage referrals, communicate with patients, field calls, and make appointments in busy business hours. Working with a remote team like this will free you up from such duties, leaving you to see to the patients’ welfare. 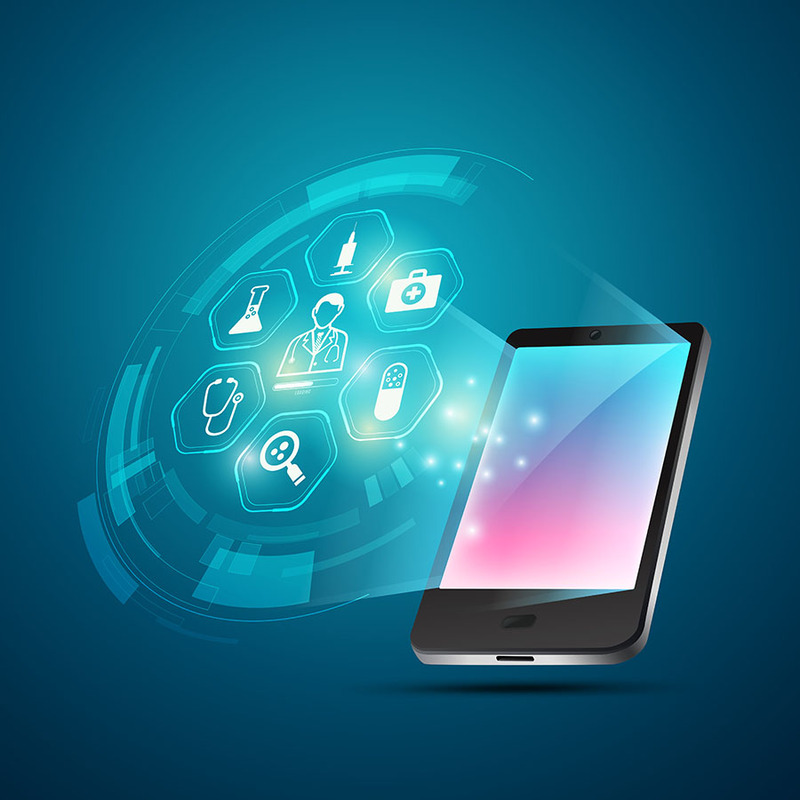 A medical remote team can help you manage medical billing and payments, following up on invoices, and making sure payments are made on time. Working with medical support service providers would enable you to provide 24 hour healthcare call center support, so there are no delays in communicating emergencies to providers, 24/7/365. This will also expand your business scope considerably since you will be available after hours too. Get professionally formatted reports created from audio recordings by a remote team specialized in medical support to free up your time for value-adding activities. You can also opt for multilingual transcription services to cater to a diverse board of directors, medical professionals, or patients. A multilingual virtual assistant would allow you to communicate with colleagues from different countries and specialists all over the globe. Similarly, a multilingual call center operator would allow you to communicate effectively with patients from diverse backgrounds and all points of the globe. Medical practitioners, like all other professionals, must pay attention to budgeting as they diagnose and treat patients. One way to decrease your payroll burden is to utilize the services of a medical virtual assistant since that way you do not need to incur any overhead costs or HR admin expenses. 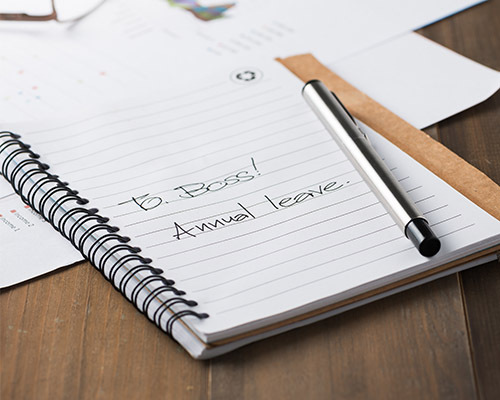 You will also save the cost of training a new hire when you opt for a trained medical remote worker instead. There is no better feeling than going home to the realization that you made a difference in someone’s life or saved someone. Having a medical virtual assistant will free you up to pursue your career and other passions. Therefore, getting a medical virtual assistant should ultimately increase your job satisfaction. Having a medical virtual assistant or call center operator has financial as well as health benefits for you. Get the ball rolling today and see what a difference it makes in your life! 2019: A New Era of Customer Service – Are You Ready? 2019 could be the year that your company has the best customer service ever. Your business relies on good customer service for its success – far more than it used to, in fact. According to IT research company Gartner, 89% of market leaders anticipate that the omnichannel customer experience will be their primary business concern, as opposed to four years ago, when only 36% did. This signals a fundamental change in the role and function of businesses. While the products or services that the company offered used to be the main concern, now the excellence of your customer care center will be the thing that sets you apart from the competition. After all, there are very few businesses out there that can afford to alienate their clientele because their products or services are good enough to keep people coming back regardless of their experience. With this rise in the importance of customer service, many companies are going to have to do a massive overhaul of their current methods. This is because the support systems that companies utilize are becoming increasingly reliant on social media compatibility, 24/7 service, and mobile-friendly options. If your company doesn’t keep up with the modern standards, you will likely face losing clients and thus revenue. So what exactly should you be aiming for in terms of customer service? If you haven’t already set these up for customers, you are already behind. Most medium to larger companies have already set up an inbound call center solution, ensuring that someone can always be reached in case customers have questions or concerns. Even smaller businesses are upgrading their systems, each setting up a call center for small business. Live chat is one of the newer options, to be sure, but it has quickly become ubiquitous. Many customers now prefer to contact companies through multiple channels, some of the most popular of which are their social media accounts. There should always be an easy way for customers to use Twitter, Facebook, Google+, etc. to contact your company. These channels should also be easy to switch between in the event that the user wants to employ several at a time and there should be someone providing omnichannel support services so you are never out of touch with your customers. Since so many people consider texting to be the preferred mode of communication, it makes sense that your company should have some form of it enabled on your site. When your customer can’t figure out how to do something on your site, having an IT professional try to figure out what to do through verbal means is rather like flying a plane blind. Having an option for them to get remote access to the customer’s computer (with their permission, of course) is one of the best ways to sort out the problem quickly and effectively. You thus need someone qualified to provide such technical and backend support services. People are sick and tired of automated menus and trying to interact with recordings. If you want to truly please your customers, offer them a real human being to talk to. It proves almost automatically that you care more about their concerns and are willing to pay someone to listen to them. Having a trained, empathetic, and skilled call center operator automatically enhances customer loyalty. Virtual assistant support services can help you delegate administrative support and operational support tasks. This is especially good for growing businesses that don’t generally need around the clock support in-house. You will never have to turn away customers and can even get extra help around the holiday season. These assistants can perform a wide variety of tasks, from answering phones and emails to scheduling and data entry, payroll processing, lead generation, and practically anything else you need. These are just some of the customer support services that are becoming the norm for businesses. Implement these and you can practically ensure customer satisfaction – and keep them coming back!